How Can I Find Air Leaks in my House? Insulation isn’t the only solution for helping reduce your energy bills—air sealing is also important! In our experience, a home that is both insulated and sealed is the most energy-efficient. After all, air leaks can undermine the performance of insulation and hinder your energy efficiency efforts. Although professional services yield the best results—and this is what we recommend—it can be helpful to know the basics about air leaks, and this includes common air leakage sites. There are some easy ways to find air leaks in your home. We offer air sealing as part of our Comfort Home Program, and our professionals are experienced at detecting air leaks. 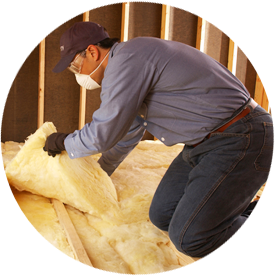 Insulation itself is not an air barrier, so it allows cold or hot air to infiltrate your home through penetrations in the building’s envelope. Air sealing is a key component of the Comfort Home Program from Tidewater Insulators. Many homes built prior to the 1980s were not required to seal electrical and plumbing penetrations to the attic and crawl spaces. This can add up to dozens of holes in your home, which can cost you money in added heating and cooling costs and affect the level of comfort in your home. The results of our home energy audit help our Comfort Home specialists plan the best way to improve your home. Sealing air penetrations is the first step! Help Make Your Home in Virginia Energy-Efficient! We offer three different packages for attic and crawl space insulation. All three offer air sealing either as standard or as an option. Take a look and see how the Comfort Home Program works to help you reduce energy and improve the comfort of your home in southeastern Virginia. If you want to learn more about our services or are ready to schedule an initial consultation, contact us today!